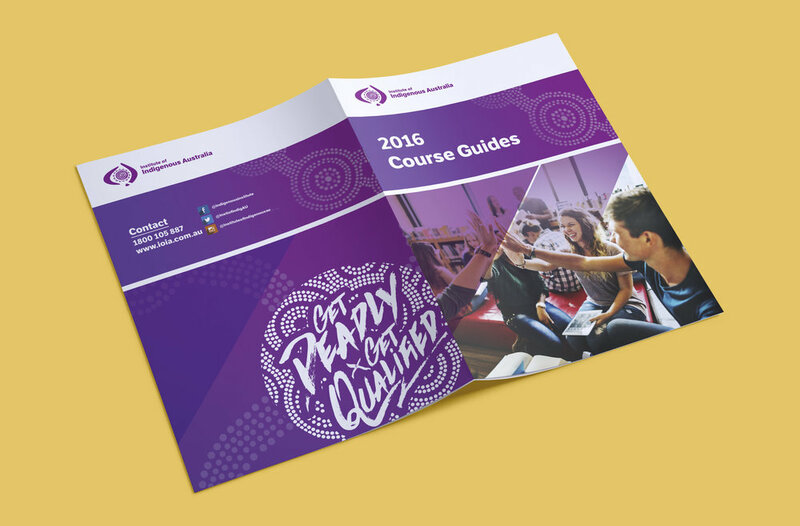 Working with the Institute of Indigenous Australia since 2015 to help create a unique brand presence. I was presented with the task of creating a unique identity that would help position the business in along side other already established educational institutions. The identity would maintain a contemporary design aesthetic to appeal to majorly young demographic while introducing subtle elements of indigenous art work that would emphasise the institutes position as an Indigenous owned and operated company. The Indigenous Institute of Australia is an RTO run organisation. The work has involved a complete redesign of brand print material, as well as website material, Facebook material and promotional material such as screen-printed t-shirts.